style and legibility of writing of the young & elders easily. Welcome to Abacus Brain Study Pvt. Ltd. Brain has left and right hemi-spheres. The left brain is the conventional brain and right brain is the base of intelligence. About 90% of us use only the left brain. But with ICMAS program children are trained to use their right brain more, resulting in increased performance in all their activities. 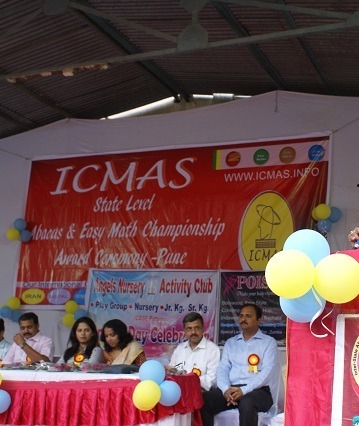 What is ICMAS :ICMAS Stands for International Concept of Mental Arithematic System. It was developed from “Soroban Methodology” that originated in Japan. ICMAS Mental Arithmetic System is a modern representation of an ancient art of Mental Math. ICMAS uses the ancient tool ABACUS for the Right Brain Development, the seat of intelligence contributing in a large measure to increase Speed and Accuracy, Learning ability, Concentration, Perceptual capability & Photographic Memory skills, which automatically results in student’s better performance in academic subjects. Arithmetic is extremely important for building up a solid academic foundation for children. 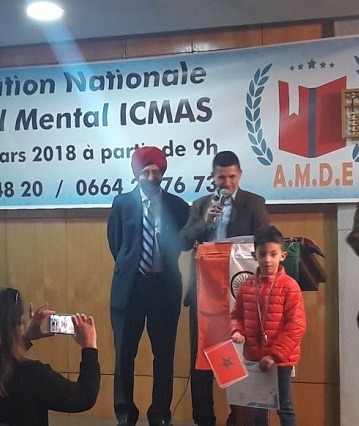 ICMAS Mental Arithmetic is an internationally well-known powerful Mental Development Program, which will effectively activate children’s latent mental power and develop their utmost in Photographic Memory, Imaginative & Creative Skills resulting in Self-reliance and Self-confidence. An ancient japaneese tool used for fast and accurate calculations, helps in right brain development and overall intelligance. Easywrite is a handwriting course which is designed to improve the style and legibility of writing of the young & elders easily. ICMAS offers an unique 1 minute challenge course which helps the child to improve in different ways. Our products are Abacus, Easy Speak, Easy Write, and Easy Maths. We Abacus brain Study Pvt Ltd, an ISO 9000:2001 Certified Company engaged in Training and Teaching of ABACUS Education under the brand name of ICMAS for the age group children of 4-14years to enhance their mental abilities which creates and develops innovative and well researched time tested and result oriented concepts and educational products for schools, colleges and corporates .ours is a well recognized company with more than 3000 centers in 18 states across the nation. We are professionals in the field of training and development with result oriented programs full of real life practice sessions, allowing participants to take the maximum benefit in the minimum time. For enhancing mental calculation abilities among children through speed and accuracy and to remove the fear of mathematics for school going kids in order to make the process of learning enjoyable and fun loving. In Our Brain has left and right hemi-spheres. The left brain is the conventional brain and right brain is the base of intelligence. About 90% of us use only the left brain. But with ICMAS program children are trained to use their right brain more, resulting in a very effective performance in all their activities. 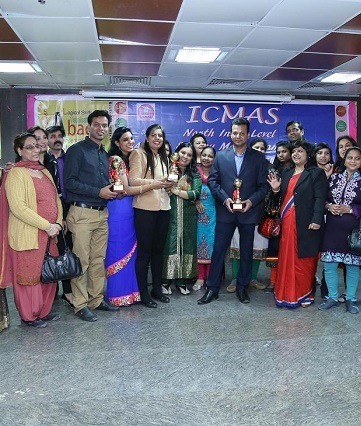 I, Monika Gupta, very delightful and obliged to be associated with ICMAS, Hyderabad. 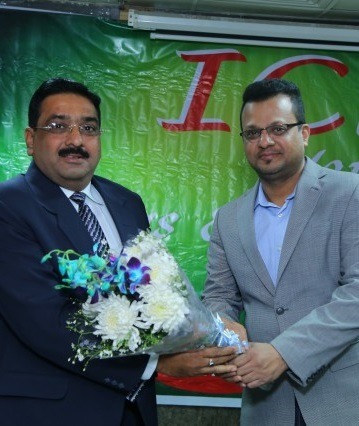 Its 4 years back when I have joined as a Franchisee of ICMAS in Panchkula. The ICMAS always be true to their words in these years. Initially I have only 2 students for first 6 months, Now I have strength of 25 students, and I have learnt a lot from ICMAS. The study material provided by ICMAS is also altogether different from others and is also very advanced which students told me when they join my class who completed some levels in other company. I get good support in training, books all the time whenever I require it. I am very happy to be part of ICMAS. I am Mrs. Ranjana S. Wanganekar. I had started my journey as a ICMAS instructor from 2006. I first started with a batch a of 10 students and now all the batches of various courses are full. It's a very good platform for the students to develop their brains. You can absolutely see the change in the students' learnability. The feedback from students and parents is always good. Also the support from ICMAS side is brilliant. Mr. Ujjwal Panda sir also has been helpful for entire decade of this journey. I thank ICMAS for generating this platform and also for maintaining it. Myself Sneeha Raghavendra Rao, ICMAS distributor for Bangalore. I began my journey with ICMAS as a franchisee in 2009. It all started when I was searching for a right opportunity to utilize my free time. ICMAS provided me that right prospect. Madhuri madam was my first point of contact for ICMAS and she guided me well. Ujjwal sir was my mentor and was ever supporting and encouraging me, all these years. Whenever I face an issue either with my students or with my franchisees, he is there to guide and support me. We Abacus brain Study Pvt Ltd, an ISO 9000:2001 Certified Company engaged in Training and Teaching of ABACUS Education under the brand name of ICMAS for the age group children of 4-14years . Abacus Brain Study Pvt. Ltd. Copyright © Abacus Brain Study Pvt. Ltd. All rights reserved.